The lounge bar is a place where it is good to spend some time. From breakfast to Tea Time, after a day of work or a seminar, before sitting down to eat in the brewery or going back to the hotel room, the ambiance and atmosphere of the lounge bar offer a relaxation that can be shared with friends or enjoyed alone. 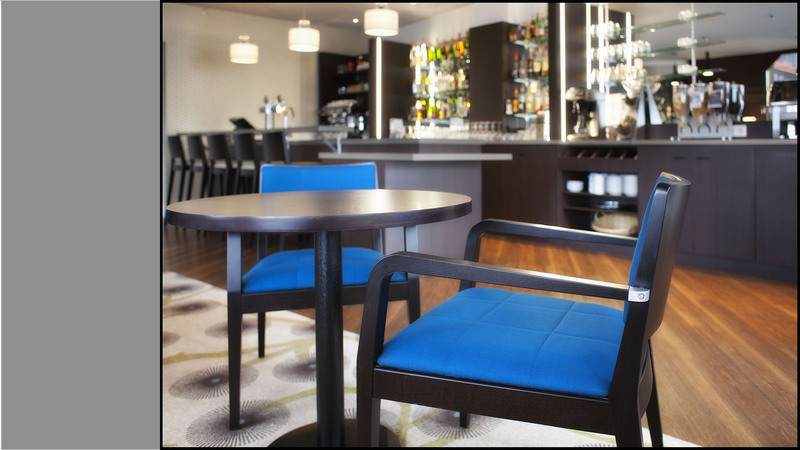 At the bar, or sitting comfortably in a chair, you will have a choice of both hot and cold drinks, cocktails, wine by the glass, and impeccable service. The design combines the warmth of wood with colors shaded in modern styles together with the charm of sleek lines which contribute to the feeling a well-being. More than a pause in the course of the day, the lounge bar is a real place where exchanges can be discussed in the best conditions. Professional relations find in it a framework conducive to less formal discussions, and friends live in it moments of sharing.